Camp Paradise offers five weeks of themed summer camp for adults with developmental disabilities during the summer months. Both day and residential camp is available. Campers enjoy swimming, crafts, indoor and outdoor games and theme related activities. Camp Paradise empowers campers to develop independence, self-esteem and life-long friendships in a caring and nurturing environment. 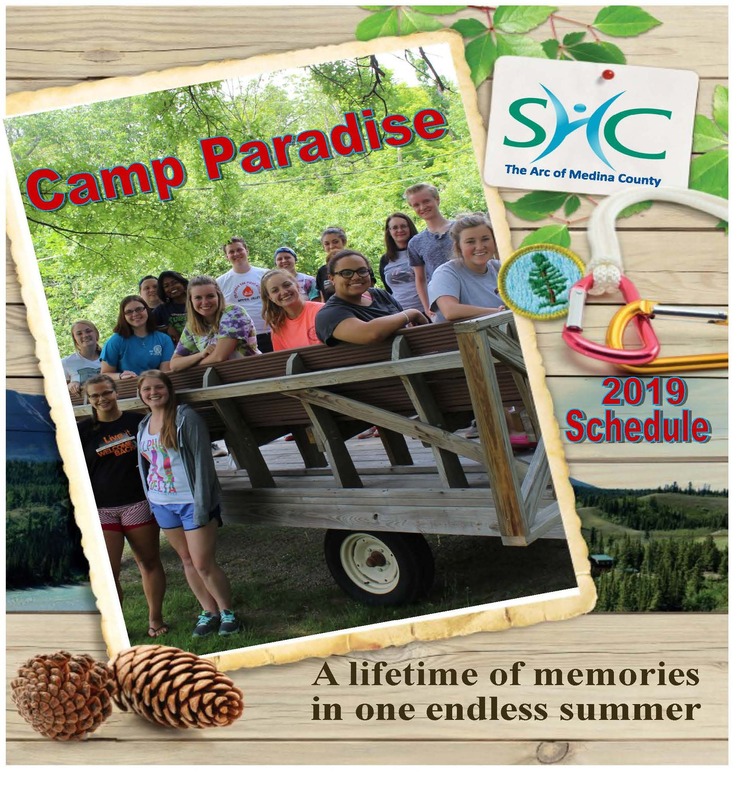 A program of SHC/The Arc of Medina County for 50 years, our camp engages campers in a variety of activities ranging from creative arts like music and art therapy to sports, outdoor adventures, swimming, wagon rides and bonfires. Campers from all over Ohio and surrounding states are welcomed at Camp Paradise. Overnight camp begins at 9 a.m. on Mondays and ends at 5 p.m. on Fridays; pick-up is between 4 p.m.—5 p.m. on Friday. Day Camp is 9 a.m.—5 p.m. daily, and all facilities are accessible. Highly-trained staff with a ratio of 1:4 during awake hours. Camp Paradise is the only overnight camp in Medina County for people with developmental disabilities. Carnival – July 22 – 26, 2019 Call 330-722-1900 for more information today! Help send an individual with a developmental disability to summer camp by donating today!